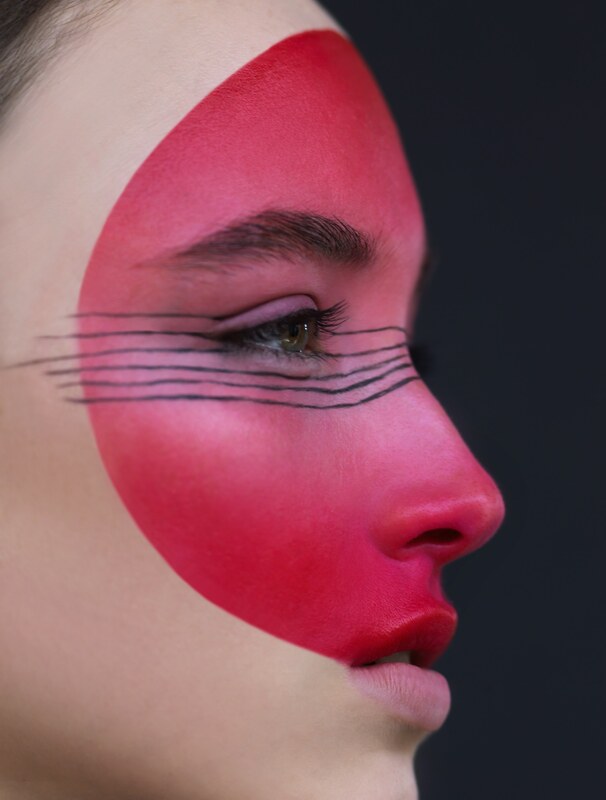 The inspiration for this beauty shoot was threefold. 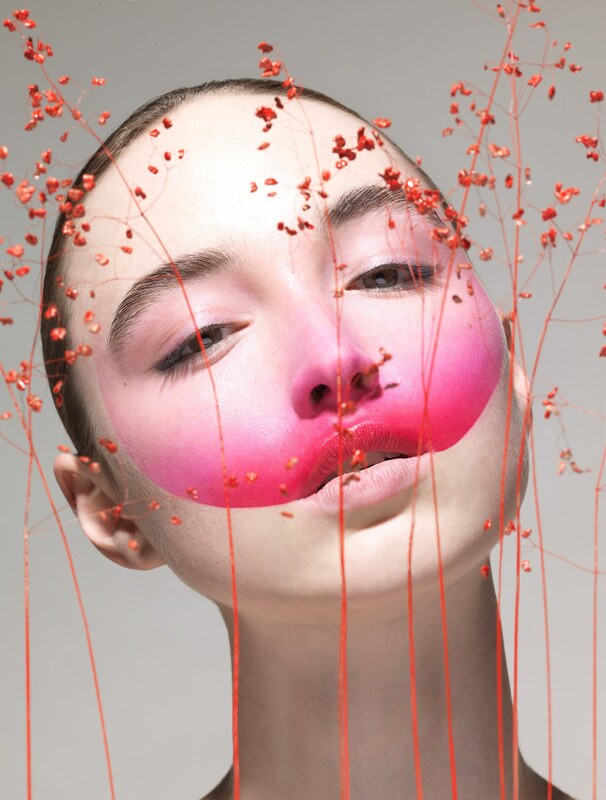 First of all, it came from some images in Dior's amazing Art of Color book. Secondly, Solenne was leaving for modeling in Japan shortly after our shoot. Hence the red rising sun shape on her face in some of the shots. And lastly, I felt inspired by her natural features: her beautiful freckles, face shape & elongated almond eyes. 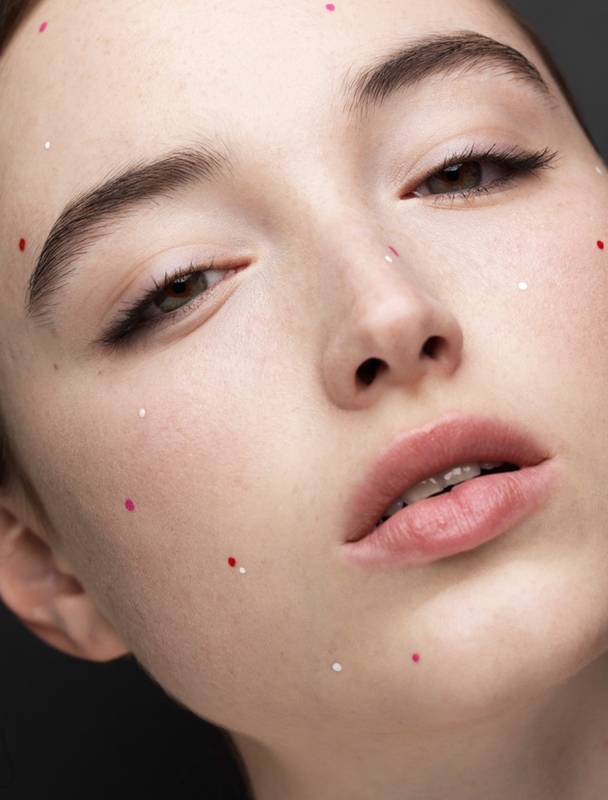 I started by putting acrylic paint dots over Solenne’s natural freckles with a nail dotting tool. 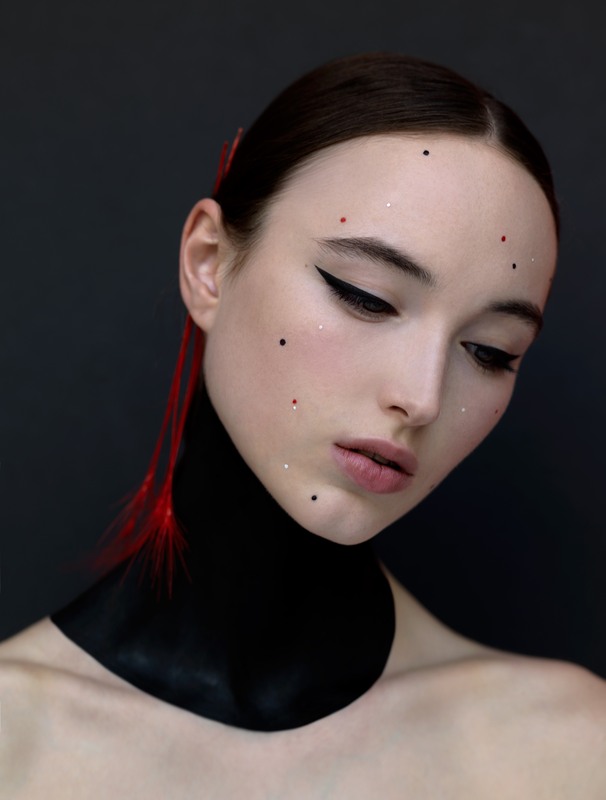 The dramatic cat eyeliner was achieved with Blacktrack gel liner. I then painted her neck black with again the acrylic. For the looks with the big circle, I used nothing but two flat synthetic brushes and a normal & mini egg sponge to apply a blend of MUFE grease paints, mixing in a touch of Kryolan UV cream in red and pink for more vibrancy. (No tape or airbrush :)) For the last look I painted fine organic lines with Blacktrack over the greasepaint circle.